Former Senator Miriam Defensor-Santiago dies at 71 - Balita Boss! 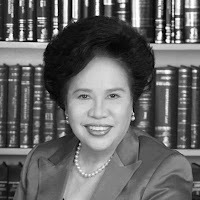 Former Philippine senator and presidential candidate Miriam Defesor-Santiago died on Thursday, September 29 at the age of 71 after battling lung cancer. "Senator Miriam Defensor Santiago died peacefully today at 8:52 a.m.," according to the senator's official Facebook page. Santiago, the Iron Lady of Asia, announced in 2014 that she was diagnosed with stage 4 lung cancer. In a news report of Inquirer.net on June 1, Santiago was brought to the intensive care unit of the Makati Medical Center because of pneumonia she contracted, likely due to complications of her lung cancer. 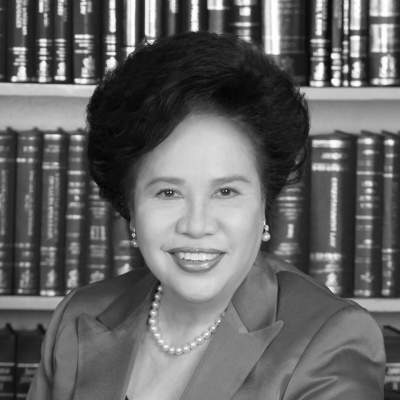 She is notable served in all three branches of the Philippine government – judicial, executive, and legislative. She served as a senator in the Philippines from 1995 to 2016. The former senator ran for presidency three times in total, in 1992, 1998 and again in May 2016 against the now incumbent President Rodrigo Duterte. President Duterte released a statement of condolence, calling her a "graftbuster who ate death threats for breakfast", as stated in GMA News' tweet. In honor of Iloilo-born politician, the Iloilo City Government has declared September 29 as a day of mourning and ordered that the flags in the city be at half-mast until October 17. Santiago was born in Iloilo City on June 15, 1945.